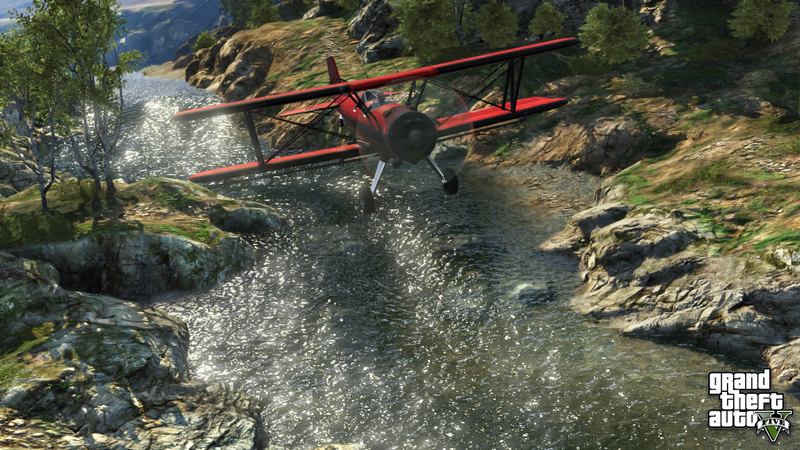 That is a screenshot from Grand Theft Auto V.
The game is as beautiful as it is notorious for its over-the-top violence and un-PC sensibilities. Which is why it is a huge hit and one of the best selling games in the history of video games. 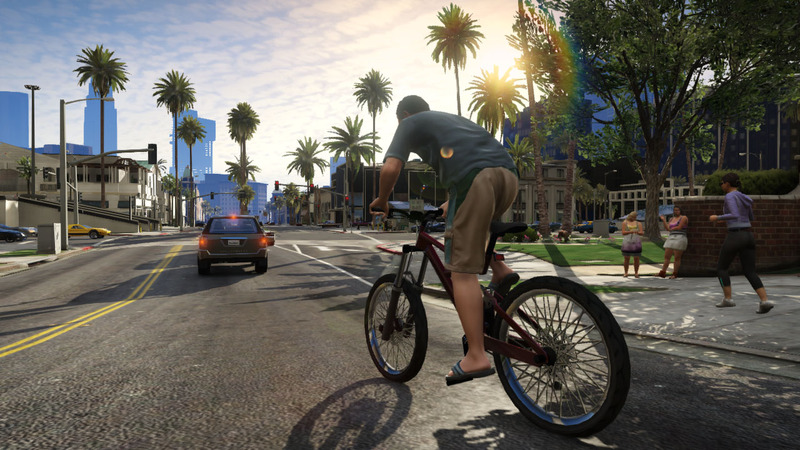 There are many stories to be told from the streets of Los Santos, and many of the best ones aren’t even scripted in the game. Grand Theft Auto employs a large, open world style of game play that is teeming with brilliantly programmed characters that flesh out a sense of a living, breathing city that goes on about its business with or without you the player. Combine that with a physics engine that practically begs players to jump, crash, explode and generally push the limitations of what is possible in this mini-virtual world and you have a game that is part action shooter, part mini-movie generator. The game is on every platform, but PC players have access to something special. 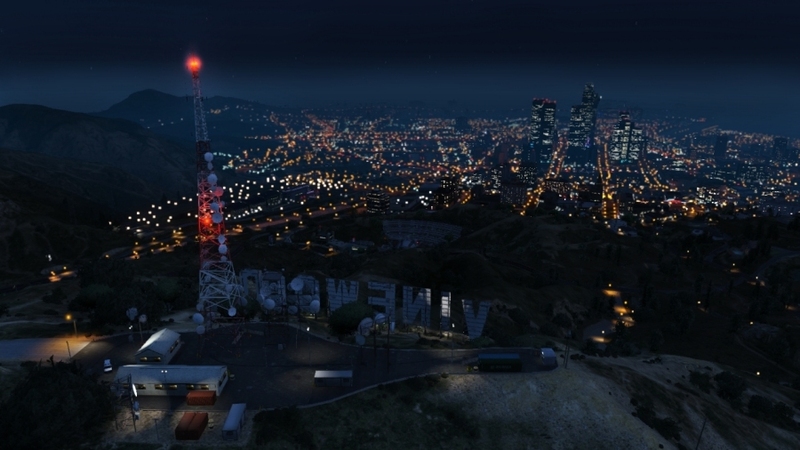 Rockstar Games have recently released the Rockstar Editor for Grand Theft Auto V.
The combination editor and Director’s Mode tool allows players to record footage from both Grand Theft Auto 5 and GTA Online, set up scenes, edit that footage, and distribute it online to friends and fans. The new tools really do highlight the sheer beauty of the game. Fan videos have already started showing up… most show off the fantastic scenery and beauty of the game in motion set to some song from the game (GTA games have a long history of having an outstanding selection of contemporary and classic songs on the cars ‘radios’). In the right hands, the editor can be a powerful tool and almost make the viewer forget they are watching video game footage. Check, ‘Sins of the Past’. ‘Machinima’ is hardly a new concept as gamers have been cutting, splicing and reshooting their games to tell new stories ever since there have been games. But as Rockstar is demonstrating, giving gamers the proper tools can generate so much more content and enjoyment out of their games, both for the players and those who have an appreciation for the art form. 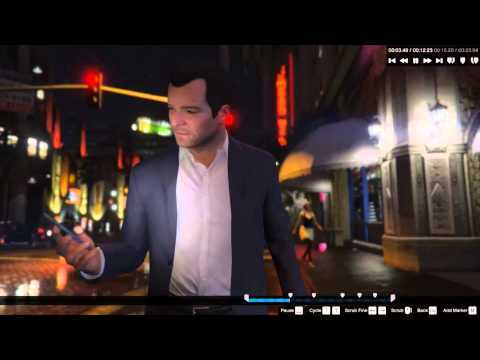 Grand Theft Auto VMachinimaVideo EditorWhere are the hookers?